The smoke and carbon monoxide alarm that thinks, speaks, and alerts your phone. Sends you a message when there’s a problem or the battery runs low. Long-lasting sensors keep you safe and sound for up to a decade. Protect your loved ones from carbon monoxide and fires with a smart alarm that alerts you and your phone in the instance of danger. Carbon monoxide is an invisible, poisonous gas that you can’t smell. Nest Protect tells you where it’s hiding. The Split-Spectrum Sensor uses two wavelengths of light to detect both fast and slow burning fires. 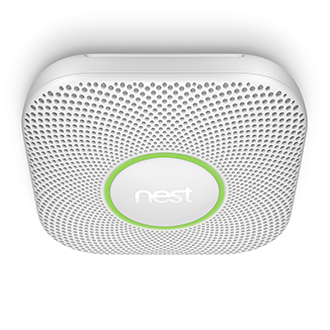 Nest Protect speaks up if there’s smoke or CO and tells you where it is, so you know what to do. Usually Nest Protect has its light turned off, but when you walk underneath it, Pathlight can light your way. Just burned the popcorn? Quiet the false alarm with your phone, not your dish towel. Nightly Promise is a quick green glow when you turn out the lights that says everything’s working well. Manage your Nest product features and options wherever you are. You can easily check up on your home and silence the Nest Protect smoke and CO alarms with the app. 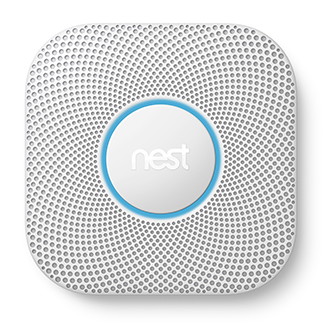 See an alert when your Nest Protect detects smoke or carbon monoxide. Take action if it is an emergency, or quiet the false alarm right from your phone. Learn how Thomas, a TELUS Team Member, uses Nest to stay connected to his family all day long.